I booked a day trip from Bangkok to the nearby provincial town of Kanchanaburi. 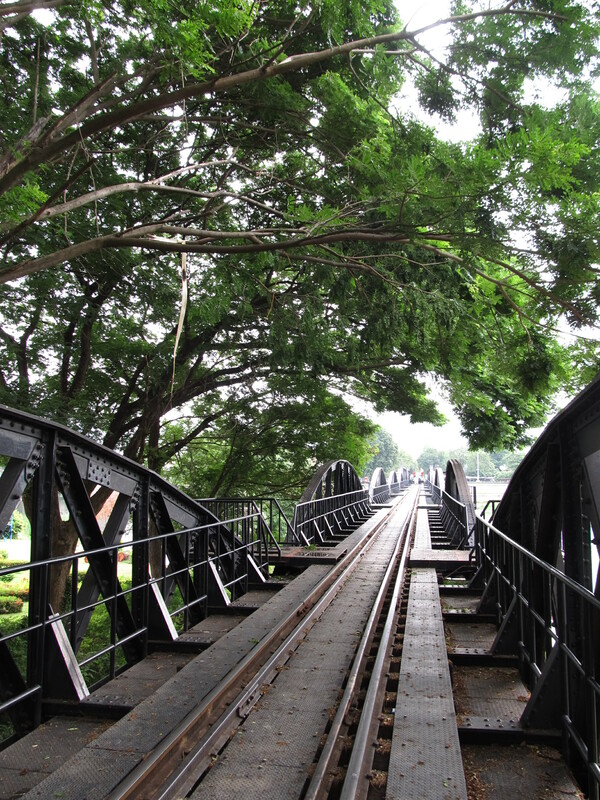 The town is famous mainly for one reason: it’s where the bridge on the River Kwai was built by prisoners of war and Asian labourers during WWII. At this time Thailand was under Japanese occupation and the Japanese decided they wanted to secure a supply route from Thailand to Burma, the plan being to occupy Burma as well eventually. They decided to tackle the rough, mountainous terrain at the Thai and Burmese border by building a 415km railway from the Kanchanaburi region all the way into Burma. It’s since become known as the ‘Death Railway’. Approximately 100,000 labourers died during the construction process, mainly from illnesses such as dysentery, malaria and cholera. Others died from plain exhaustion; some of the PoWs had been suffering under Japanese control for up to one year already when they were sent to build the railway. Construction began in October 1942 and was completed 16 months later thanks to the organisation and ruthlessness of the Japanese forces. 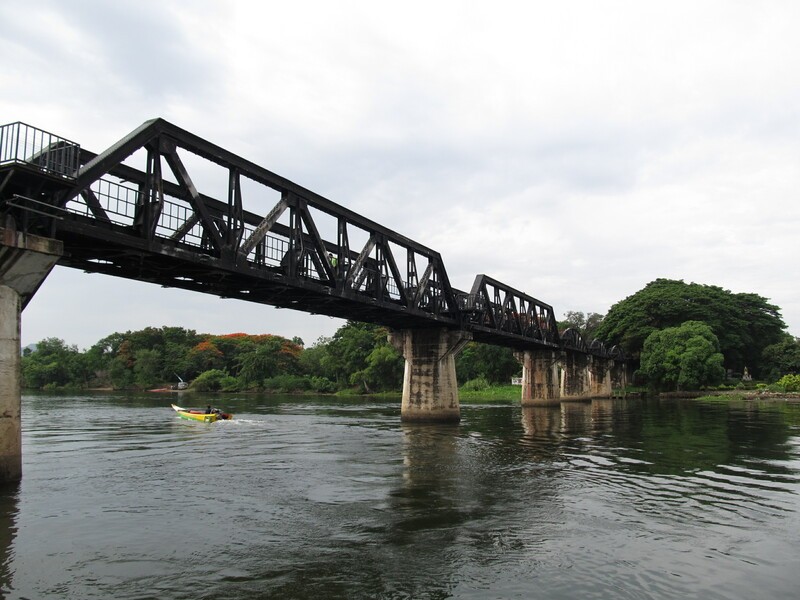 The bridge at the River Kwai (pronounced as in ‘square’ without the ‘s’, despite what the film says) is symbolic of the suffering the labourers underwent. The centre two sections of the bridge were destroyed by Allied bombings in 1945 but have since been replaced. It was particularly poignant for me visiting this landmark as my great uncle George had actually been one of the PoWs forced to build the railway. He was lucky to live through the ordeal, but looking around the exhibitions at the excellent Death Railway Centre really brought home the appalling conditions the workers had to suffer through. Opposite the museum is the Allied War Cemetery, a strangely picturesque spot where 6,982 PoWs have been buried, around half of which were British. 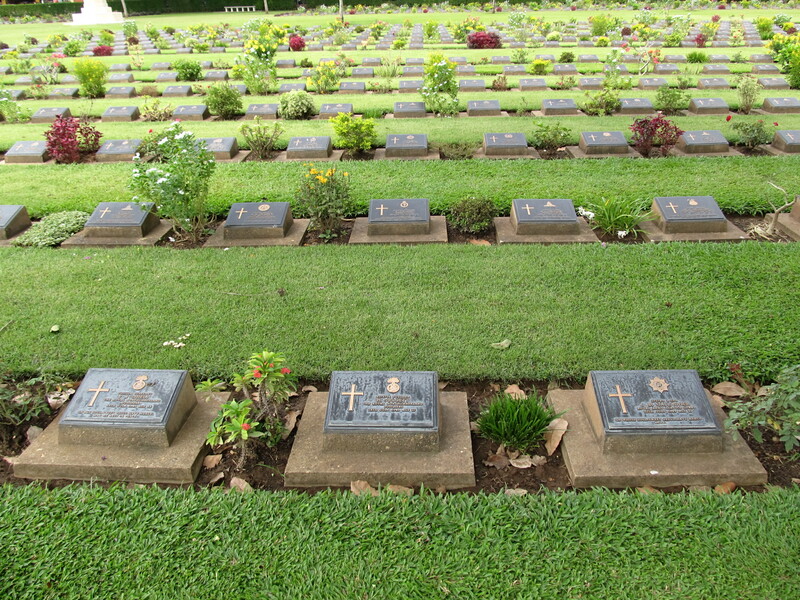 The unwilling Asian labourers that lost their lives (around 90,000) have no marked graves anywhere. After soaking in the history at Kanchanaburi, we headed out of the town to the jungle area surrounding it. The views are quite magnificent here – jungle covered mountains shadow plantations of tapioca and rubber trees. 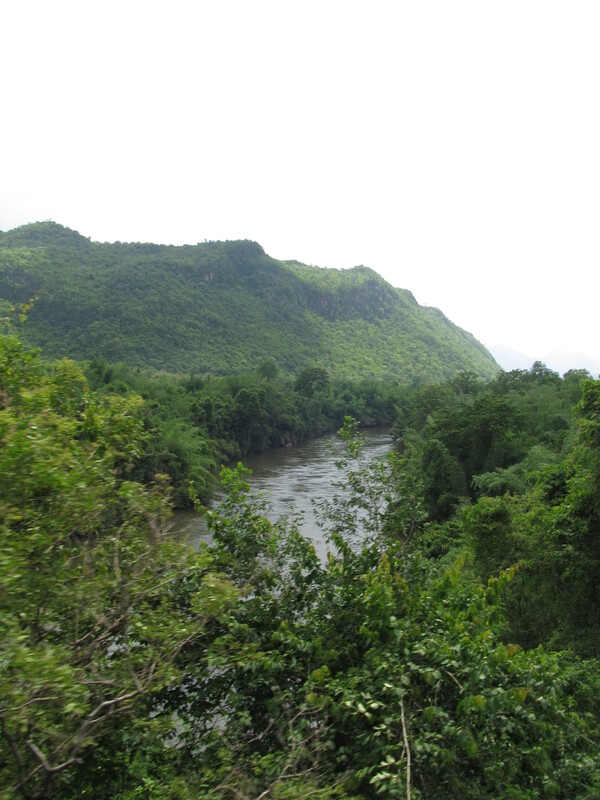 The mountains serve as a natural border between Burma and Thailand. A quick visit to Sai Yok Noi waterfall rounded off the day, made more charming by the swathes of Thai schoolboys splashing in the refreshing water. I really enjoyed visiting this historical and scenic part of Thailand. The other tour members were also good fun, including a retired Welshman who had spent the previous week in Indonesia and Malaysia (and took all his photos on a disposable camera, bless) and a generous South African fellow who paid for my drinks all day!